Save money on everything from bikes and in car entertainment to dash cameras and ride on toys with the latest Halfords price drops. Checkout some of the biggest discounts below or sign up today to use our free Halfords price tracker. 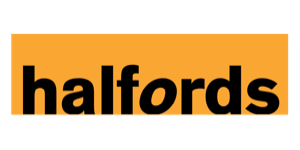 After adding a product we'll track it for you and let you know as soon as the item goes on sale at Halfords. Apollo Outrage Kids Bike - 18"
Apollo Gridlok Kids Mountain Bike - 24"
Mongoose R12 BMX Balance Bike - 12"